I’ll start this UK stock market forecast with the FTSE 100 as that’s the index most people think of when they think of the UK stock market. I only make long-term forecasts, so I’ll be talking about what the market might return over the next ten years rather than the next year or two. By “forecast” I mean the Expected Value of the market’s total return. In other words, a best guess of the average return the market would produce if we could run through the next ten years multiple times (which, according to the known laws of physics, we can’t). Today the FTSE 100 stands at 6,350 with a dividend yield of 3.8%. That’s slightly higher than its long-run average yield, which is closer to 3%. As a result of that slightly high yield the FTSE 100 is, at least from that point of view, slightly cheap and somewhat attractively valued relative to historic norms. My preferred approach to forecasting the stock market’s return is to assume normal inflation, normal real (inflation-adjusted) dividend growth and a normal dividend yield. Those are all reasonable and fairly conservative assumptions and they represent my best guesstimate at what the next decade might look like. With today’s FTSE 100 at 6,350 points and with the dividend yield at 3.8%, its dividend payment is currently 244 index points. If that dividend grows by 4% a year for ten years (2% inflation plus 2% real growth) then by 2025 the dividend will have reached 344 points. If the FTSE 100 has a 3% dividend yield in 2025 then with a dividend of 344 points it will have reached a level of 11,470. That’s equivalent to a 6% annual capital gain, which is 2% from inflation, 2% from real dividend growth and 2% a year from the contraction of the dividend yield (and therefore the expansion of the ratio between price and dividend). On top of that capital gain we can reasonably expect an average dividend yield of between 3% and 4%, giving a forecast total return to 2025 of just under 10% a year. Another valid approach to forecasting the market’s return is to use cyclically adjusted earnings, i.e. the inflation adjusted ten-year average earnings. This is a metric which you may be familiar with from Robert Shiller’s CAPE ratio. Currently the FTSE 100’s CAPE ratio is (according to my data) 11.9, which means its cyclically adjusted earnings are 532 index points. With those assumptions the FTSE 100’s cyclically adjusted earnings will hit 787 by 2025. If the FTSE 100 has a CAPE ratio of 16 then it will have reached the level of 12,592. So the cyclically adjusted earnings-based forecast comes out quite similar to the dividend-based forecast, with is not a huge surprise. If the market reached that level then the capital gains would be about 7% a year, and total returns would be 10% or 11% a year including dividends. The average of those two forecasts is for a market level of 12,000 and a total return of about 10% a year, so that’s my forecast for the FTSE 100 through to 2025. In the same way it’s possible to produce a forecast of the FTSE 250’s total return to 2025. The FTSE 250 differs from the FTSE 100 in that historically it has had slightly faster dividend and earnings growth and slightly higher valuation multiples (and therefore lower yields). Currently the FTSE 250 is valued at 16,900 points with a dividend yield of 2.5% and a CAPE ratio of 22.7. With those values the FTSE 250 has a current dividend of 425 index points and cyclically adjusted earnings of 744 points. With 5% nominal growth of its dividend and earnings (2% inflation plus 3% real growth) the FTSE 250 will have a dividend of 692 points and cyclically adjusted earnings of 1,212 points in 2025. A reasonable forecast for the FTSE 250 in 2025 is therefore the average of the two, which is approximately 26,000. That would give the FTSE 250 capital gains of 4.5% a year, with total returns closer to 7% when dividends are included at an average yield of 2.5%. On that basis the expected total return of the FTSE 100 is better than the expected return of the FTSE 250 over the next ten years. Of course, while the expected value of a dice roll is 3.5, you cannot actually roll a 3.5, and even if you could, you would not expect to roll a 3.5 every time. In the same way, these forecasts are my expected value for the UK stock market’s total return over the next ten years, but that does not mean I expect the market to precisely match these forecasts. However, if I had to put money on one of those indices beating the other, I would back the FTSE 100 over the FTSE 250. I would say you would be better doing this analysis in early 2016 once FY dividends for 2015 are announced. It has been well trailed that a number of large FTSE 100s (particularly in the resources sector) are likely to cut their dividends. I don’t think the current yield based on past dividends is therefore sustainable. Hi DblEntry, That’s a good point. But rather than pick another single year (2016) a better approach would be to use the average dividend over say the last five years. That’s what I would usually do (actually I would probably use the average over ten years) but using the current dividend is probably “good enough”, given the inherent uncertainties. Also, I would be surprised if 2016 dividends were more than a few percent below 2015 dividends as total dividends at the market level are usually pretty stable, even in severe recessions. Having said that, I will run this analysis again next year so we’ll see what it turns up at that point. I would expect the results are pretty similar. Very interesting. I always assume the FTSE 250 would deliver more growth over the long term, although some of those companies may end up in the FTSE 100 anyway. Always reassuring to be removed of the basic stability of dividends, despite recession coming and going from time to time. Hi TV, yes from the data I have it looks like the FTSE 250 is doing what you might expect, i.e. growing faster. For most people a “hedge your bets” approach is probably best. For example, my son’s JISA is too small for individual stocks, so it’s split 60/40 stock/bonds passive funds, and the stocks bit is split equally between FTSE 100, 250 and a world index. 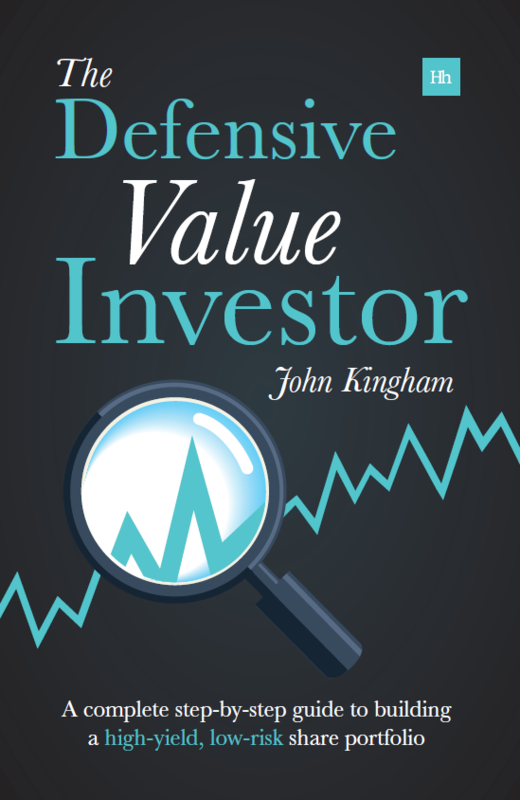 However, if you want to beat the market (as I obviously do) then a more detailed view of valuations is essential. A great article. 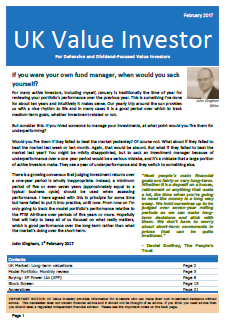 Generally I agree with you; I think both the FTSE100 and FTSE250 are screaming buys for an investor with a 10+ year investment horizon. Are you sure about the yield figure for the FTSE100? I generally invest in Vanguard’s FTSE100 ETF (VUKE) which has ongoing charges of 9bps and an extremely tight tracking error, best in class. The actual, trailing yield (LTM) today is 3.99% implying 4.08% for the underlying index (VUKE’s LTM yield is £1.1536 on Friday’s closing price of £28.89). I have a spreadsheet with the details which I can happily send to you if required. Which has the FTSE 100 at 6,348.42 and the yield at 3.84%, so I rounded slightly to 3.8% in the blog post but that’s where it’s at, officially. Yields on funds can be a bit different depending on how they’re calculated, when their dividend payments go out and so on, plus tracking error. I’m not a fund expert so I don’t know if the gap between 3.84% and 3.99% is more than you might normally expect. Wich is the PE ratio today of FTSE100? For individual investor, is better Vanguard or Ishares Blackrock?